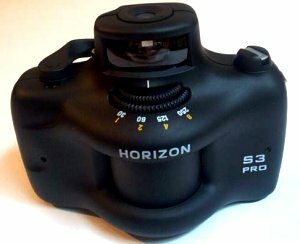 HORIZON 203 is excellent Russian panoramic camera. 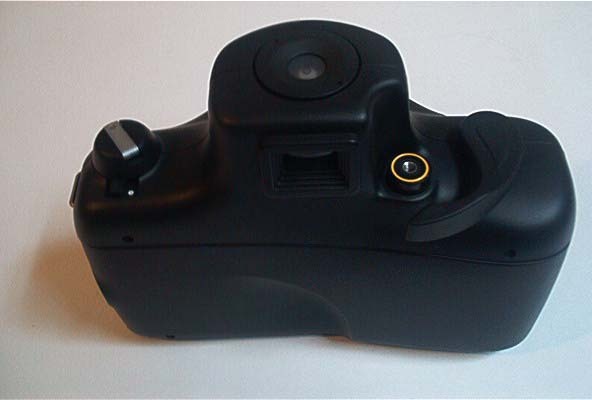 It was developed by Krasnogorsk plant in Russia in 2003. 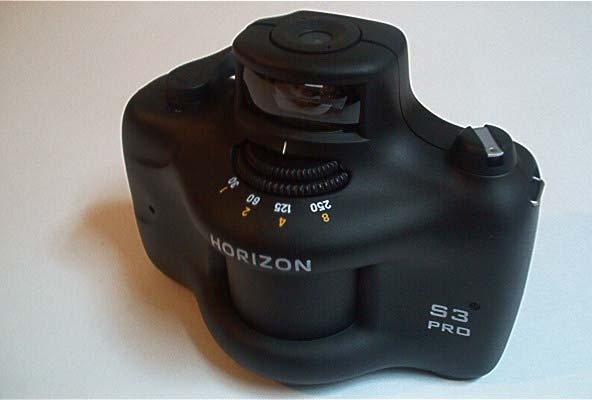 Perfect design silent camera improved from Horizon 202. 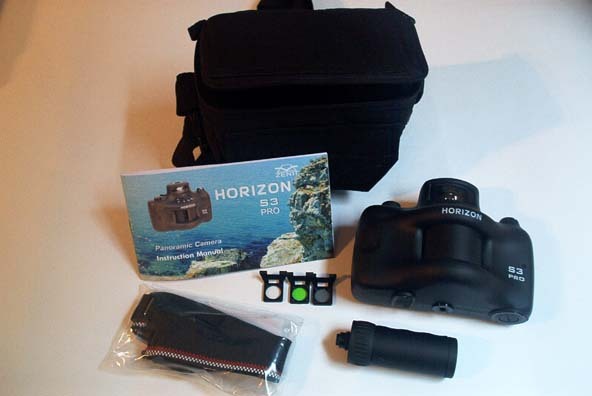 Better lens optics parallax free!